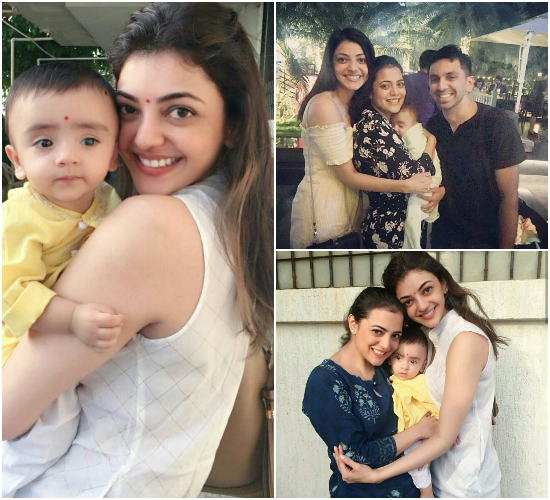 Kajal seems to be always there for her little munchkin and photos of her with the baby boy prove she is a doting aunt. On the work front, Kajal Aggarwal is currently shooting for the Tamil remake of Bollywood hit film Queen. Directed by Ramesh Arvind, the film is titled Paris Paris and is currently being shot in Mysore. Kajal will also be seen alongside Ravi Teja in the Telugu remake of Tamil film Theri starring Vijay. The film is yet to be titled and will be directed by Santosh Srinivas. Kajal has also signed another film in Telugu alongside Bellamkonda Sai Sreenivas which began recently. The first leg of shooting of the film began in Hyderabad recently and Kajal was party of that too. Kajal, in a recent interview, also revealed that she has signed a Punjabi film too which happens to be her mother tongue. Kajal was last seen in Nandamuri Kalyanram starrer MLA which did some decent business at the box office. Nisha Agarwal is a true beauty..too bad she didn’t make it in the film industry!